With Sukkos quickly approaching, dozens of Bochurim and Shluchim have already confirmed their Sukkah Mobiles for this coming Chol Hamo’ed. 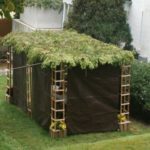 After tremendous efforts, by Bochurim and Yungerleit, the Sukkahs are ready to be assembled, rental contracts are already confirmed and much more has already been done in advance of what promises to be the biggest Sukkah Mobile season yet. This year the Mitzvah Tank Org. is offering 2 completely new packages for Shluchim and Bochurim. 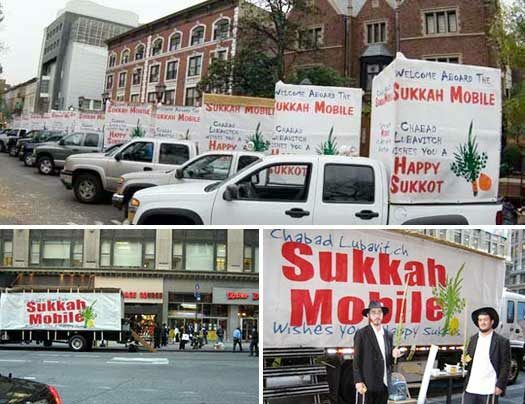 Whether you need a Sukkah mobile for one day, the entire Sukkos, have your own pickup truck or just need Bochurim they have a package for you. There is even a free package available this year. To reserve a Sukkah Mobile, please do so ASAP by filling out this form. Or for more info, call (718) 804-0077 extension 112 or email sukkos@mitzvahtanks.com . Yasher koach to all the organizer’s! Its really amazing, i had them come last year and since then one of my mekoravim decided to go to yeshiva. All from the buchrim coming with the sukkah mobile! And the buchrim probably don’t even know what they were poiel, and I don’t remember they’re names either. You really never know what Mivtzoim with the Rebbe’s kochois can do! Kol hakavoid!